If you are moving into the Clayton, NC area, then you must take a look at this great home that’s on the market in Neuse Villa. Here are all the details about this fabulous home located at 118 Alecia Court, Clayton, NC in Johnston County. This luxurious 7,415 square foot single family home was built in 2008 onto 3.47 acres of land. The stone and brick ranch style home features four bedrooms and seven bathrooms, so you will always have room for a big family or several guests. There is also a full in-law suite basement and it has two full kitchens. The bathrooms feature granite and tile and there are his and her bathrooms so you and your significant other can each have their very own. The exterior of the home features several amenities, including a deck and patio where you can entertain guests, as well as insulated glass windows, a sprinkler system to keep your lawn green and beautiful, and a 32 by 18 foot porch to sit on when the days are warm and sunny. The home’s foundation is set onto a basement are and the finish on the house is stone and brick veneer. You will have plenty of space in the large 36 by 26 foot long garage that is designed to fit three cars and comes with a garage opener. Plus, you have the advantage of living in a cul-de-sac that features hardwood trees to offer shade during the summertime. 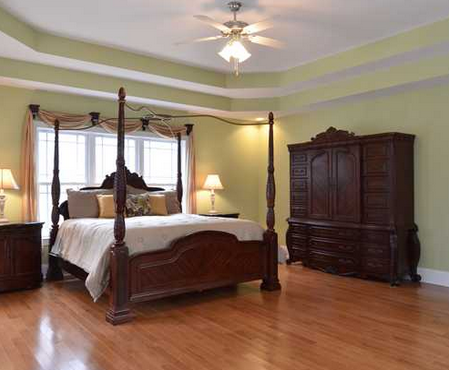 The four bedrooms offer rooms sized at 18.3 by 14.4 feet, 15 by 15 feet, 15 by 14 feet and a bonus room of 26 by 12.3 feet. Plus there is an entryway hall size at 8 by 12.7 feet. There is also no shortage of space when it comes to cooking and eating meals either, as the breakfast room is 137 by 9.3 and the dining room is separate from the kitchen area and is 12.7 by 12.2 feet in size. The kitchen is full equipped with an electric range cooktop stove, double oven, self-cleaning oven, water filter, water softener, ice maker, microwave, refrigerator, range hood, and dishwasher for your convenience. When it comes to finding room for the family to hang out and have fun, the Family Room dimensions are a spacious 20.6 by 20 feet in size and there is a fireplace in the family room and in the basement. The home has electric heating system designed to keep you all cozy during those cold winter nights and central air conditioning to keep you cool in the summertime. It also has an electric hot water heater to make your showers hot and steamy. 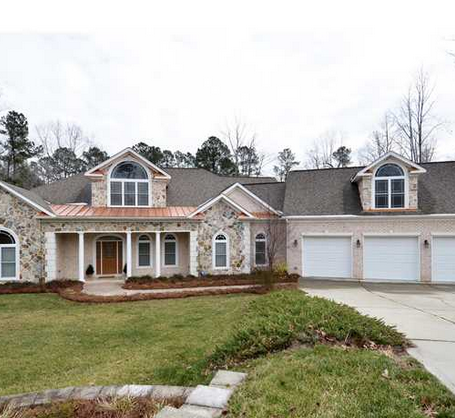 The bottom line is that if you are moving into the Clayton, NC area with your family, then you need to take a look at this glorious home that has now been listed for sale in the $700,000 dollar range. For more information or to schedule a showing, visit our Contact Us page or call (919) 232-9242.